The history of modern Europe is often presented with the hindsight of present-day European integration, which was a genuinely liberal project based on political and economic freedom. Many other visions for Europe developed in the 20th century, however, were based on an idea of community rooted in pre-modern religious ideas, cultural or ethnic homogeneity, or even in coercion and violence. They frequently rejected the idea of modernity or reinterpreted it in an antiliberal manner. 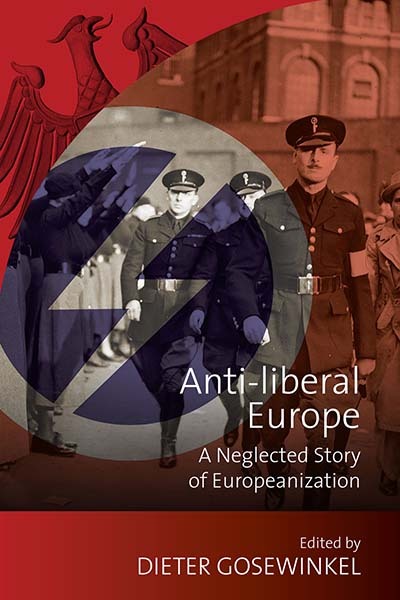 Anti-liberal Europe examines these visions, including those of anti-modernist Catholics, conservatives, extreme rightists as well as communists, arguing that antiliberal concepts in 20th-century Europe were not the counterpart to, but instead part of the process of European integration. Dieter Gosewinkel is Professor of Modern History at the Freie Universität Berlin, and researcher and co-director of the Rule of Law Center at the Wissenschaftszentrum Berlin für Sozialforschung (WZB). His recent books include Die Verfassungen in Europa 1789 - 1949: Eine wissenschaftliche Textedition (co-edited with Johannes Masing and Andreas Würschinger 2006) and Wissenschaft, Politik, Verfassungsgericht (with Ernst-Wolfgang Böckenförde 2011).